Extractions: Fractals Allegria fractal and mathematically inspired jewelry. Apollonian Gasket , a fractal circle packing formed by packing smaller circles into each triangular gap formed by three larger circles. From MathWorld. Area of the Mandelbrot set . One can upper bound this area by filling the area around the set by disks, or lower bound it by counting pixels; strangely, Stan Isaacs notes, these two methods do not seem to give the same answer. Balanced ternary reptiles Cantor's hourglass reptile spiral reptile stretchtiles ... trisection of India , the three Bodhi problem , and other Fractal tilings by R. W. Gosper Circle fractal based on repeated placement of two equal tangent circles within each circle of the figure. One could also get something like this by inversion, starting with three mutually tangent circles, but then the circles at each level of the recursion wouldn't all stay the same size as each other. The Curlicue Fractal , Fergus C. Murray. The Dynamic Systems and Technology Project at Boston Univ. offers several Java applets and animations of fractals and iterated function systems. Expansions geometric pattern creation techniques by John S. Stokes III. Extractions: Polyhedra and Polytopes This page includes pointers on geometric properties of polygons, polyhedra, and higher dimensional polytopes (particularly convex polytopes). Other pages of the junkyard collect related information on triangles, tetrahedra, and simplices cubes and hypercubes polyhedral models , and symmetry of regular polytopes Adventures among the toroids . Reference to a book on polyhedral tori by B. M. Stewart. Bob Allanson's Polyhedra Page . Nice animated-GIF line art of the Platonic solids, Archimedean solids, and Archimedean duals. Almost research-related maths pictures . A. Kepert approximates superellipsoids by polyhedra. Archimedean polyhedra , Miroslav Vicher. Archimedean solids: John Conway describes some interesting maps among the Archimedean polytopes . Eric Weisstein lists properties and pictures of the Archimedean solids Rolf Asmund's polyhedra page Associahedron and Permutahedron . The associahedron represents the set of triangulations of a hexagon, with edges representing flips; the permutahedron represents the set of permutations of four objects, with edges representing swaps. This strangely asymmetric view of the associahedron (as an animated gif) shows that it has some kind of geometric relation with the permutahedron: it can be formed by cutting the permutahedron on two planes. A more symmetric view is below. See also a more detailed description of the associahedron , and Jean-Louis Loday's paper on associahedron coordinates David Bailey's world of tesselations . Primarily consists of Escher-like drawings but also includes an interesting section about Kepler's work on polyhedra. Extractions: MATH 305 Modern Geometry FINAL PROJECT This is in two parts: A paper, due Thursday May 1 points A presentation to the class, Thursday May 1 points Find a geometric topic not covered in class. This can be something related to what we have studied or something completely new. It could be something you might teach in the future. The College Mathematics Journal or Mathematics Teacher are good sources for ideas. (I believe both are available in our library, and other journals as well.) The goal is for you to teach yourself something new about geometry and then present it to others. Please discuss your topic with me before you prepare your materials. Here are some specific requirements: The paper should be at least four and no more than six pages, double-spaced in 12-pt. font. If you use lots of diagrams, your paper should be closer to six pages than to four pages. The paper and the presentation should include at least one major theorem on that topic. (The proof is optional.) Turn in two copies of your paper. Extractions: What is a fractal? Fractal is a word invented by Benoit Mandelbrot to specify the complicated phenomena of shapes with self-similarity. According Benoit Mandelbrot words in his book, The Fractal Geometry of Nature, "I coined fractal from the Latin adjective fractus. The corresponding Latin verb frangere means "to break:" to create irregular fragents. It is therefore sensible - and how appropriate for our needs! - that, in addition to "fragmented" (as in fraction or refraction), fractus should also mean "irregular," both meanings being preserved in fragment." Other descriptions on fractals can be found from the following links: http://www.faqs.org/faqs/sci/fractals-faq/ sci.fractals FAQ (Q2: What is a fractal?) 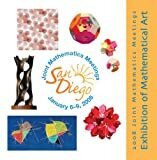 http://mathworld.wolfram.com/Fractal.html fractal: ERIC WEISSTEIN'S world of MATHEMATICS What is fractal3D? 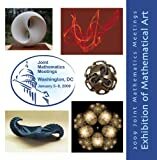 Fractal3D (www.fractal3D.com) is the world's first web site which provides information and products of great new finding 3D quasi-fuchsian fractals in pure mathematics. What is quasi-fuchsian fractals?